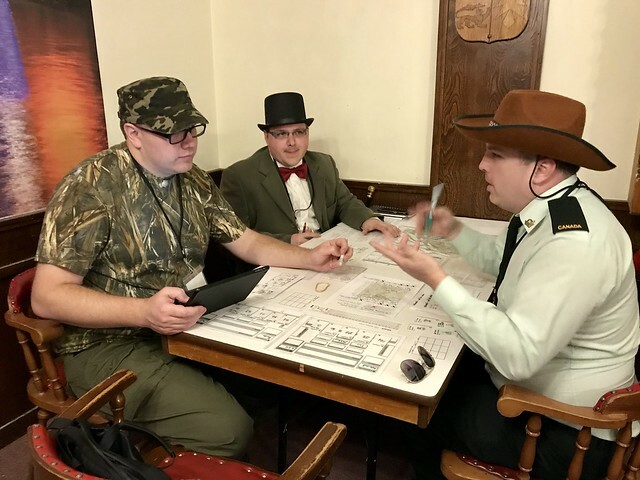 Thanks again to all the participants of another successful MegaGame to kick off the Play With Your Food season! 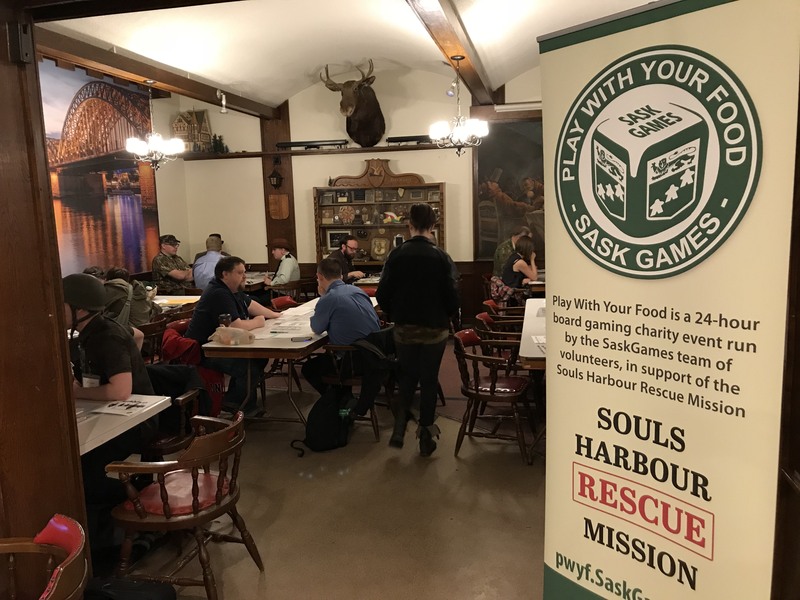 We raised $xxxx in support of Souls Harbour Rescue Mission of Regina. 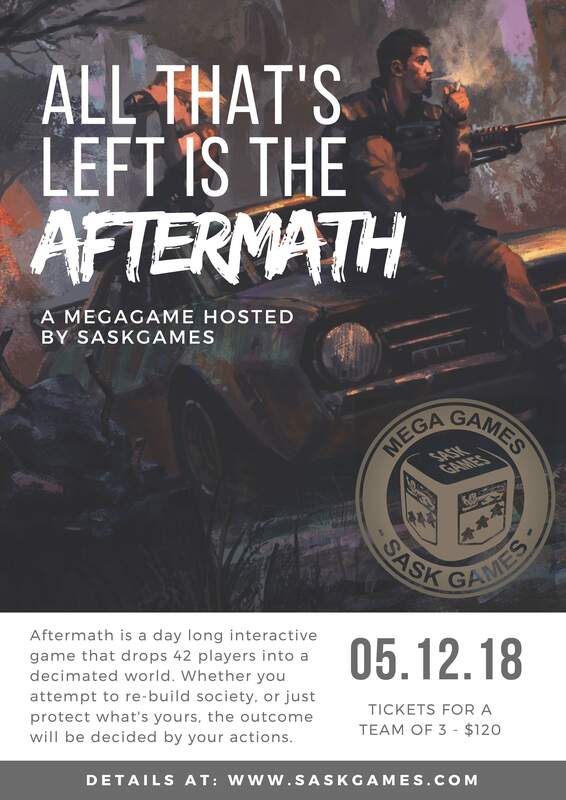 Aftermath took place on May 12, 2018 at the German Club. Various groups of survivors of “the event” weathered a hard winter underground in southern England, only to emerge and try to re-build society. Some of the government focused teams managed to restore some order, aided by regular BBC broadcasts from Benedict Quislingsworth, while outsider teams trusted no one other than their pirate radio broadcasts from American ex-pat Crazy Old Bill. Cannibalism was of course inevitable.